Okay, here's something we weren't expecting to be revealed at Gamescom - the new BMW M5 to make a Global debut. The M5 will be the cover star on Need for Speed Payback, and it's the first time BMW has revealed a car through a video game partnership. 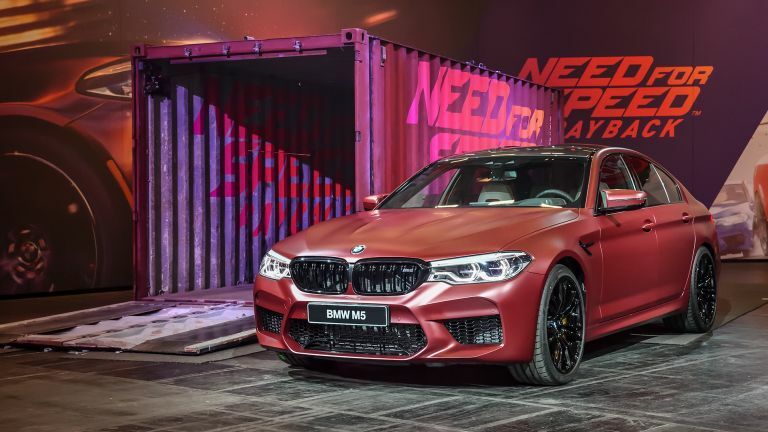 The new BMW M5 builds its heritage of being a luxurious four-door business sedan and appealing to drivers with a taste for high speed and adrenaline. The M5 takes the BMW M-series into a new territory, with 600 hp and a ground shattering peak torque of 750 Nm. It also features a new M xDrive system, which promises to be "the most engaging all-wheel-drive system yet to grace the high-performance segment". Now, while you won't be able to drive the new M5 on the roads until Spring 2018, Need for Speed Payback players will be able get a digital first drive when the game releases. Its latest instalment of Need for Speed will be available worldwide on November 10th for Xbox One, PlayStation 4, and PC.